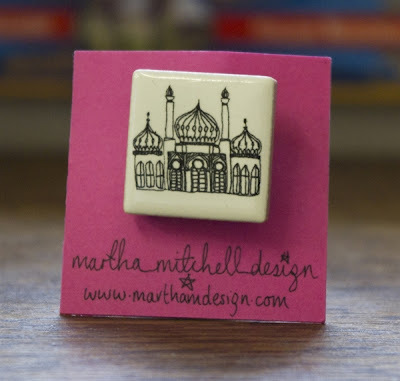 I've written about Martha Mitchell before, but about her tableware and London-inspired ceramics rather than her quirky Brighton tile brooches. 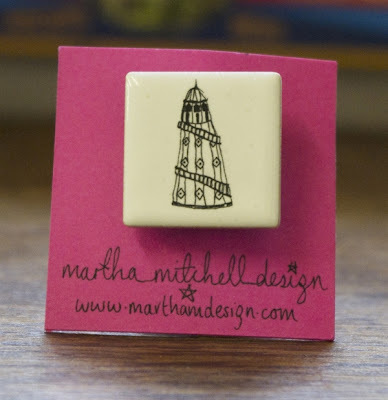 She lives and works in Hove and you can see her love of the seaside in every single one of these designs. 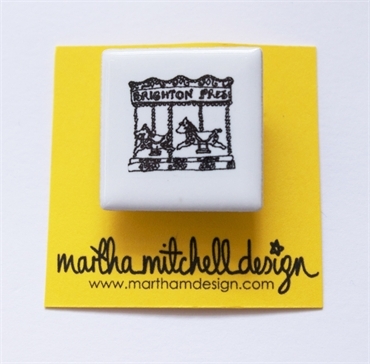 The Brighton Pier carousel has become a little bit of a landmark. Because carousels are excellent. They try and steal your chips. 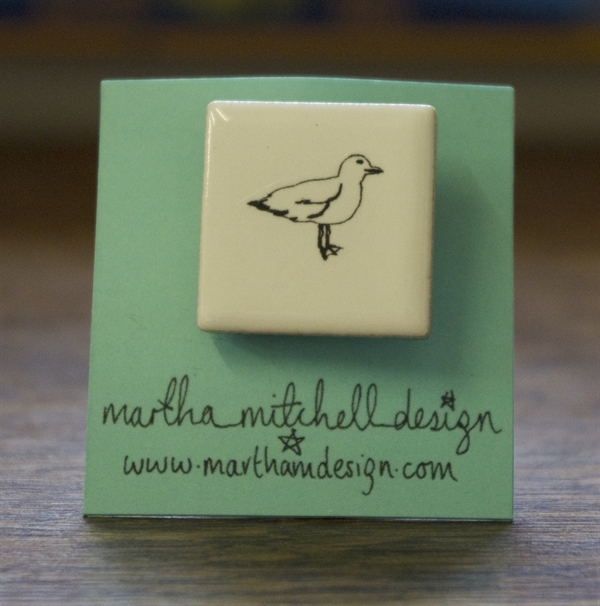 Seagulls are not to be trusted. Wheeeeee! Let's go and play on the helter skelter after having stern words with the seagulls. 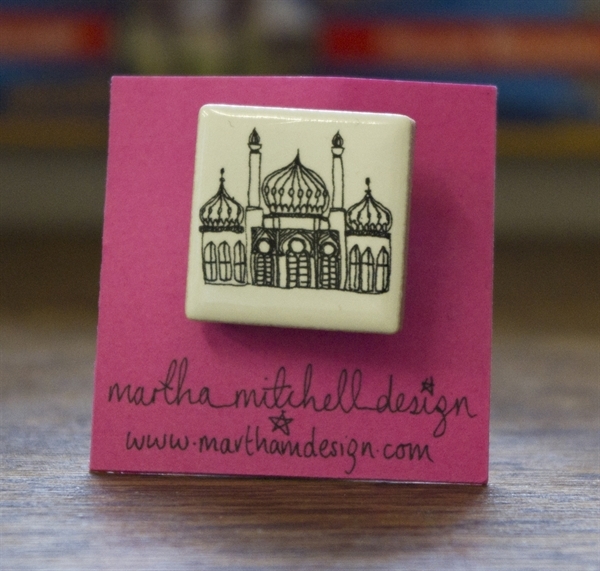 I never get bored of Brighton Pavilion. It's such a grand building yet it doesn't quite look like it belongs where it is. Each of the brooches is 2.5cm x 2.5cm and the happy price of £4, with postage and packaging include because they're so tiny and cute. I love Martha's cufflink designs as well, especially the little beach huts and deck chairs. I quite fancy a little stroll along the Pier now.